Very transparent terms through SMART Box system. Will soon be able to access loans through business debit cards. Fintech was founded prior to the financial crisis-showing they can weather the storm. Expensive option. On site example shows 24.2% APRs and 2.5% origination fees. Above example also demonstrates weekly repayments, not monthly. Don’t offer factoring, so all funding options incur debt. See above info for Ondeck Reviews. 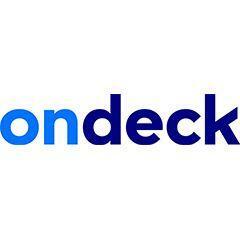 If you are a current or former Ondeck customer, we’d like to hear from you. How was your experience? Are you a repeat user? Ondeck Capital is the largest online small business lender in the United States. They are considered a financial technology (fintech) company, originating funding through their online platform with the backing of deep-pocketed financial partners. The Ondeck reviews we found were overwhelmingly positive, achieving a 9.8 rating on Trust Pilot. Founded in 2007 with headquarters in New York City, New York, Ondeck has reportedly provided over $8 billion in funding to over 80,000 small businesses.1 This small business funding provides much needed net working capital to businesses nationwide. The company has also expanded operations overseas, launching units in Canada and Australia. When a business visits Ondeck, they can apply for a 6 or 12-month loan or revolving line of credit by filling out a single online application. Through their proprietary Ondeck Scoring System, customer information is analyzed for lending consideration. If approved, new business customers have a dedicated loan advisor to help navigate the process. Minimum requirements to obtain a loan are also reasonable-at least $100,000 in annual revenues and in business for at least one year. Keep in mind, this is a $50,000 higher revenue requirement than at Kabbage. Interestingly, some Ondeck loans may be provided by the same bank (Celtic Bank in Utah) that handles Kabbage’s loans. How is Ondeck Capital Different from Factoring Companies? Ondeck Capital is not a factoring company, but they can accomplish similar goals. They provide expedited funding to help small businesses address with cash flow shortages or other operational needs. Further, some businesses that approach Ondeck for working capital loans have bad credit or no credit at all. A similar business customer contemplates invoice factoring. Bad credit business loans often come with high interest rates, excessive fees and personal guarantee requirements by the owner(s). Certain B2B companies can still factor outstanding invoices for capital, without incurring debt (not offered by Ondeck). They are also finalizing plans for instantaneous funding, through a small business line of credit, for business customers right from their debit card. They are working on this capability with Visa and Ingo Money. Compare that to waiting weeks for approval and eventual funding from a traditional bank day. Ondeck will have fast business loans that are unmatched in the lending industry. · Very transparent terms through SMART Box system. · Fintech was founded prior to the financial crisis-showing they can weather the storm. · Above example also demonstrates weekly repayments, not monthly. · Don’t offer factoring, so all funding options incur debt. Where does their funding come from? Do they offer specialty financing options?